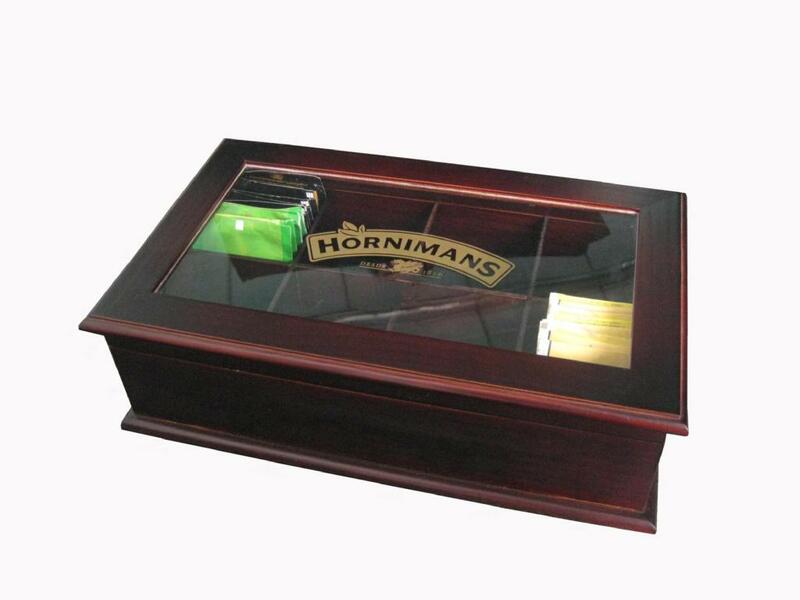 Made by skilled craftsmen, this beautifully designed wooden tea bags chest is a popular item to have in your homes, stores, or even restaurant chains. 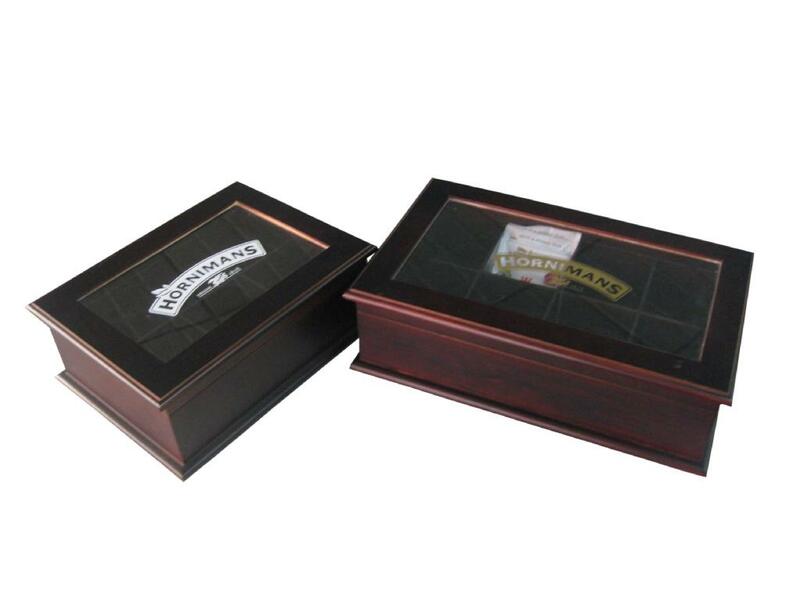 Designed with beveled edges throughout, this deep burgundy stained tea chest features an acrylic window with the company logo in the center. 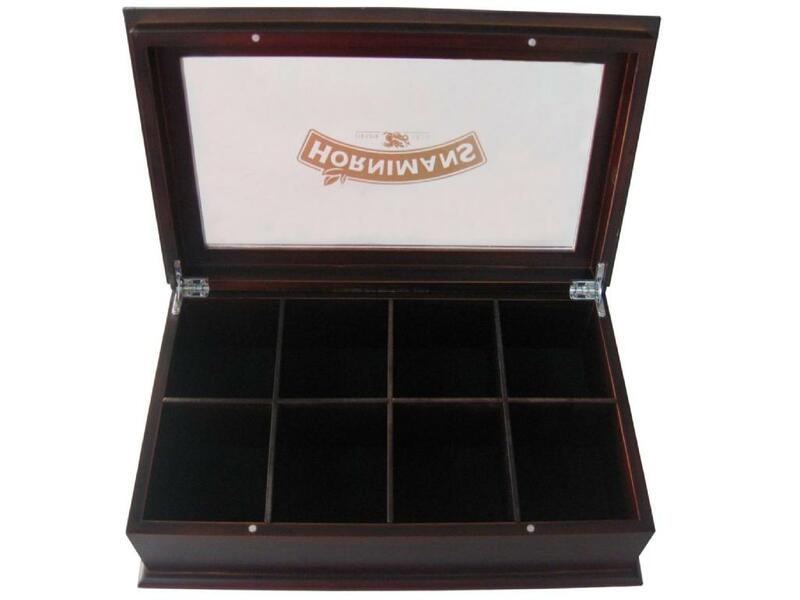 The chest features 8 compartments and the bottom can be lined with felt if you wish.